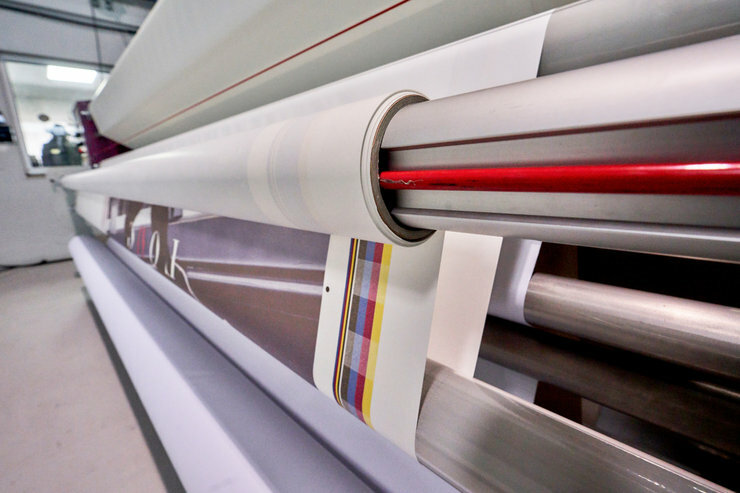 German Print Group is an independent, owner-operated company that prints on textiles for trade show and event architecture. They provide all the necessaries for building a stand, including specially developed aluminium profiles and accessories. 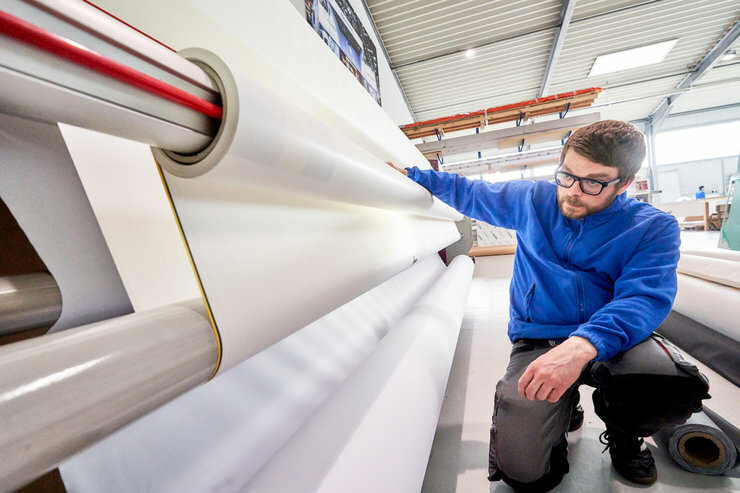 Located in Koblenz, the company has been growing at a rapid pace. Because of this growth, they have already set their sights on a newer and bigger warehouse. The plan is to move there at the end of 2018. Things at German Print Group are progressing quickly. Which is why the two directors Anton Fries and Daniel Gutendorf continue to follow the whole process from beginning to end. They personally check the quality, select the customers and manage the general activities of the company. 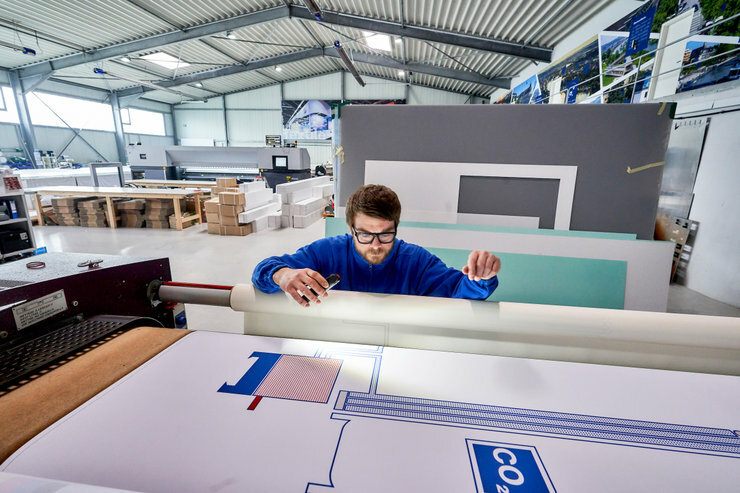 The company has a printing department that can print widths of up to five metres (sublimation until 3.2 metres and for wider UV printing) and in-house aluminium processing. They also have a Monti Antonio calendar and a Reggiani printer. Prior to changing their production from direct paper to transfer paper, they had never tried any other paper. They simply had nothing to compare it to. 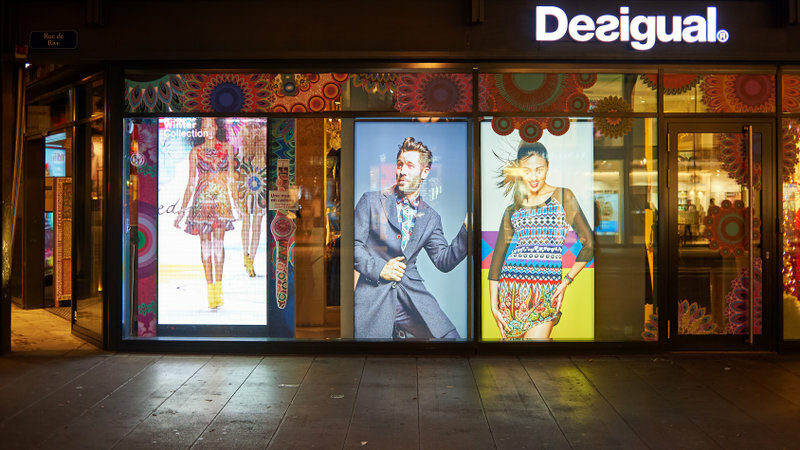 But it would seem that they are totally satisfied with the outcome of their switch to Neenah Coldenhove transfer paper. 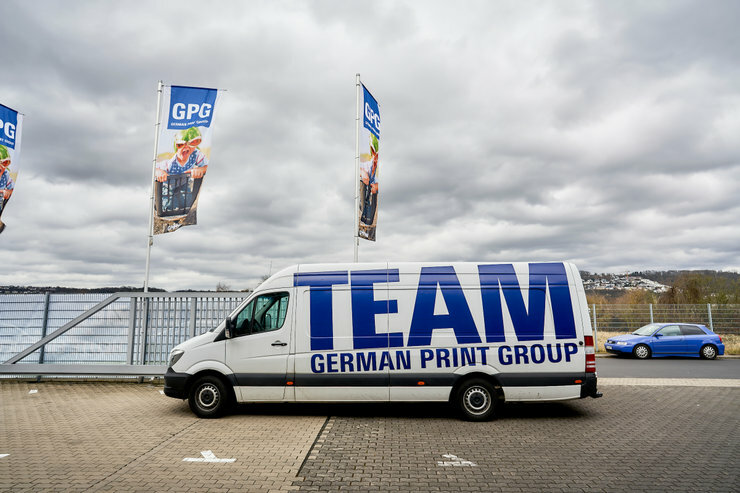 German Print Group have been using our transfer paper for one and a half years now, Jetcol® HTR3500, and they are quite happy about the quality of the paper, the transfer yield and the price. Fries and Gutendorf have said that they have yet to experience any problems. Moreover, they really appreciate the service we offer: clear communication, reliability and, most important, fast delivery. Another thing the company really appreciates is that they can buy directly from us, rather than from third-party dealers. 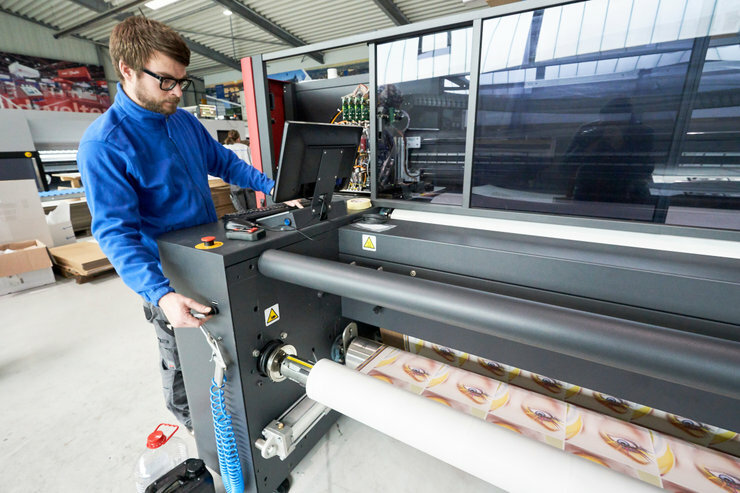 German Print Group recently came up with new textile applications that use sublimation, like carpets and acoustic textiles. And Neenah Coldenhove continues to help them along the way.